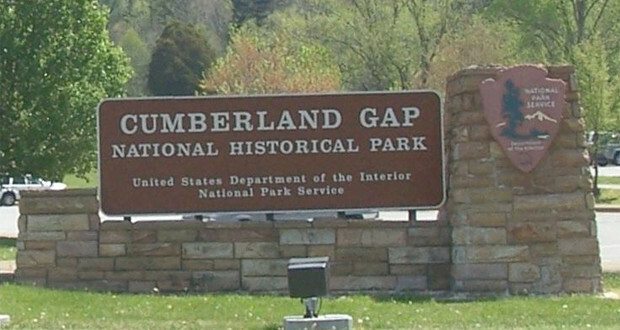 With so many things to see in the Cumpberland Gap National Historic Park, nestle in at the Wilderness Road Campground in Cumberland Gap and spend your days sightseeing, hiking and a visit to the parks Visitor Center. Camp Kentucky spoke with Carol who gave us some insights on the Wilderness Road Campground, how she’d likes to spend her time at the park and some good day trips in the area. Definitely plan on driving to the Pinnacle Overlook for a breathtaking view. When was the Wilderness Road Campground founded? How did it start? The Wilderness Road Campground is located within Cumberland Gap National Historical Park. The park was dedicated on July 4th, 1959 with Vice President Richard Nixon in attendance. Sightseeing is indeed high on the list. A four mile long drive, accessed from the park’s visitor center, leads to the Pinnacle Overlook, from which folks have a commanding view into Kentucky, Tennessee and Virginia and into the historic Cumberland Gap itself. On clear days, the Smoky Mountains are visible, a view of almost 100 miles. As the Cumberland Gap was the first doorway to the west through which Daniel Boone and almost 300,000 pioneers journeyed, many visitors are drawn to the park as they delve deeply into their family’s genealogy. With the National Park Service having restored the Cumberland Gap, visitors can now walk a 1.2 mile round way hike into this historic passageway. 85 miles of trails provide visitors the opportunity for an hour long jaunt, an all day adventure or an overnight excursion into the backcountry. Where is Wilderness Road Campground located? What are some other attractions in the area worth checking out? The Wilderness Road Campground is located in Lee County, Virginia, (the most western point in Virginia) two miles east of the US 25E and Hwy 58 intersection in Tennessee. Wilderness Road State Park, one of Virginia’s newest state parks, is located on Hwy 58 seven miles east of Cumberland Gap. Visitors to the state park can explore the recreated Martin’s Station, the last outpost that the pioneers could stop at before traveling through the Gap. 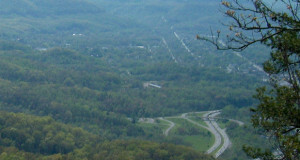 Pine Mountain State Resort Park, Kentucky’s oldest state park, is located 15 miles north on Hwy 25E in Pineville, KY. This Kentucky state park trumpets a beautiful lodge, cabins and a restaurant overlooking the mountains. Folks can also visit the Abe Lincoln Museum, located on the campus of Lincoln Memorial University in Harrogate, TN, a ten minute drive west from the campground. The museum hosts a wonderful collection of Lincoln memorabilia. 160 campsites are nestled amongst the trees. 41 of the sites have 20, 30 and 50 amp hookups. Water and sewer are centrally located near the campground entrance station. And hot showers are provided free of charge. If you could only spend one hour in the park, what would you do? Definitely plan on driving to the Pinnacle Overlook for a breathtaking view. But definitely squeeze in the second hour for a stop at the park visitor center where exhibits chronicle the rich history of the Gap. Behemoth, six-foot wide diameter trees, representative of the old growth forest that once dominated the area, tower in the visitor center lobby. Inquisitive, energetic youngsters can don pioneer clothing and touch bear and other animal pelts. High definition orientation films showcase the park’s incredible history and array of resources. Cumberland Crafts, of the Southern Highland Craft Guild, is also located at the visitor center. The shop showcases crafts from the nine states representing Appalachia and hosts craftspeople, who through demonstrations share with visitors their expertise with hand tools, native materials and lots of ingenuity. Especially on weekends, one might be able to chat with a broom maker, a weaver or a candle stick maker. Or perhaps one might be able to see as birdhouses are built from wood and bark. Stand in awe and watch an artist transform glass rods into dazzling, glistening glass beads. It will seem as though magic has governed the entire process. If you could spend just 1 night in Wilderness Road Campground, which campsite would you choose – and why? All of the campsites, electrical or not, are sweet. A soft breeze blows through the stately pines which tower over many of the sites. Especially in the summer, it is joined by the flute like call of the wood thrush, described by naturalist Henry David Thoreau as the most beautiful sound in nature. “The thrush alone declares the immortal wealth and vigor that is in the forest. Whenever a man hears it, he is young, and Nature is in her spring. It is a new world and a free country, and the gates of heaven are not shut against him.” The spicy fragrance of the Cinnamon fern dances in the air. Indeed, all campsites are sweet.